The Labor Fightback Blog | The place where trade unionists and community activists can exchange ideas on the issues facing working people. 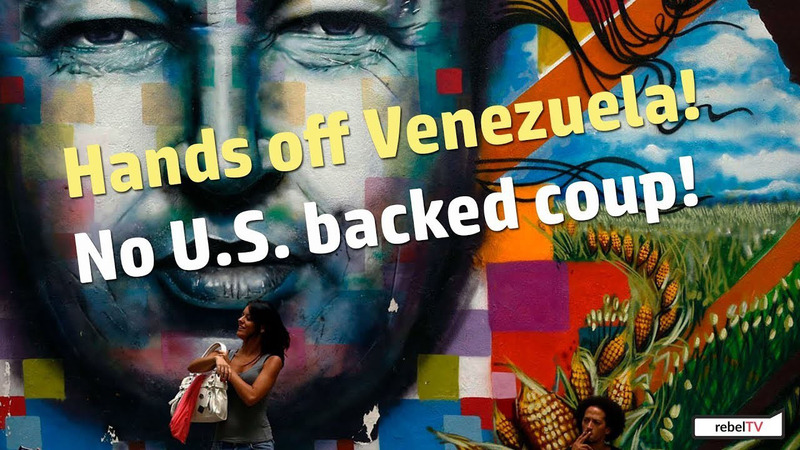 Unite in opposition to U.S. government aims in Venezuela and globally! Stand up for the people of Venezuela on March 16 and March 30! US Labor Against the War opposes the Trump Administration intervention in the internal affairs of Venezuela. The US has no legitimate claim to intervene in the internal affairs of other countries, to take sides in internal political disputes, or to undermine governments elected by the people. We have seen the disastrous consequences of recent US interventions in Iraq, Afghanistan, Syria and, through its alliance with Saudi Arabia, in Yemen. US intervention in Venezuela can only bring further hardship and suffering, as followed US support for the 2009 coup in Honduras that overthrew the elected government there and contributed to the stream of asylum-seekers now on our southern border seeking relief from that disaster. It reveals the deep cynicism of US policy makers that they denounce what they call a dictatorial regime in Venezuela while providing unlimited support to the Kingdom of Saudi Arabia and its murderous absolute dictatorship of the royal family. The US also supports a host of other autocrats, authoritarians, absolute monarchs and dictators in Azerbaijan, Kazakhstan, Tajikistan, Turkmenistan, Bahrain, Qatar, Oman, United Arab Emirates, Egypt, to name a few. There is no case in which US intervention in the internal affairs of other countries has led to greater democracy and better conditions of life for the people. In the case of Venezuela, the economic distress has been precipitated largely by the decline in world oil prices. Oil is the most important revenue source for the Venezuelan government. But Venezuela’s economic difficulties have been greatly compounded by economic sanctions imposed on Venezuela by the United States, beginning in March 2015 under Barack Obama. These have been explicitly designed to choke off Venezuela’s access to international markets and resources for the purpose of destabilizing the Maduro government and, before that, the government of Hugo Chavez. The economic chaos the US now points to in Venezuela as a justification for intervention is in large part a consequence of US policy, which is designed to provoke popular unrest, sow divisions and precipitate an uprising against the government. We strongly condemn the tacit support given to President Trump’s intervention by leaders of the Democratic Party. Whether articulated by Republicans or Democrats, US intervention to destabilize other countries violates the UN Charter and international law. This interference in Venezuela’s internal affairs serves the interests of wealthy elites and multinational corporations, not the interests of the Venezuelan or American people. It is always the people who end up paying for these interventions in suffering, blood and treasure. Fifty years ago today I turned my back and walked away from the Democratic party. From that day to this I have never looked back. Like so many college freshmen in New England, I put on my high-top boots and a warm cap and went up to New Hampshire during the early weeks of 1968. I rang doorbells campaigning for Senator Eugene McCarthy for President in small towns and was impressed by how much the people that I met were dissatisfied with President Johnson and wanted change. And they weren’t happy with the Vietnam war, either. For myself, I was giving the system “one more chance,” and after the results of the New Hampshire primary, I was optimistic. I had a date with a student nurse that night. I told her my thought that I had given the system one more chance, and it had proved itself not to work. I was concluding that revolution was necessary. She didn’t agree with me, but we had a good time that evening anyway. I took her home to Hampton House, the student nurses’ residence hall at Johns Hopkins Hospital (I was a good boy) and went home to find my mother pacing the floor—not about me. She said, “Do you know what’s going on in Chicago right now?” I didn’t. She told me what Mayor Daley’s cops were doing to kids who looked a lot like me in Grant Park. She was furious. She swore that she would never vote for Humphrey after this. She was a Republican, but she was against the war and didn’t much like Nixon. Yes. Think about what those words mean. Act on them!